Lyrica is a music game that has brought together the two worlds of classic poetry and modern day music. The game was developed by RNOVA Studio and published by COSEN Co Ltd. 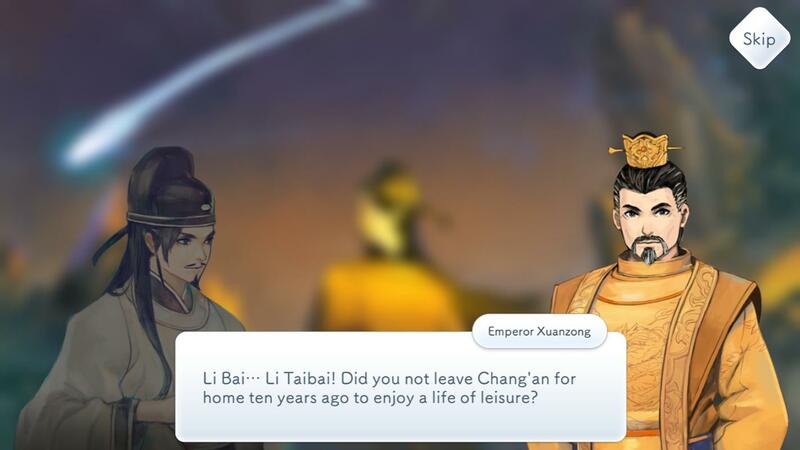 It was originally released in November 2017 as a mobile game. Both RNOVA and COSEN have previously been focused on mobile games but have managed to take that step from mobile to console. Lyrica has now been released to play on Nintendo Switch on 28th March 2019. Lyrica has the three typical modes to any musically themed game and has a total of 57 pieces of music that can be played. The Quickplay Mode is where you can play any song that you choose to try to beat your own scores. The more songs you complete, the more songs you will unlock. Each time you complete a song, you will gain experience and unlock more songs. Story Mode allows players to read through different stories of various characters to match the songs that are available. Along the way you will unlock new songs and new characters. The stages of the Story Mode are matched with images that depict the characters. Each image is unlocked by completing multiple songs because each song opens a segment of the image. When the full image is revealed, that part of the story is complete. Challenge Mode is where you can test your reflexes and overall ability of completing the songs presented. Each song will have a set target or challenge that you will need to meet in order to pass. With each song that you manage to beat, you will unlock more challenges. 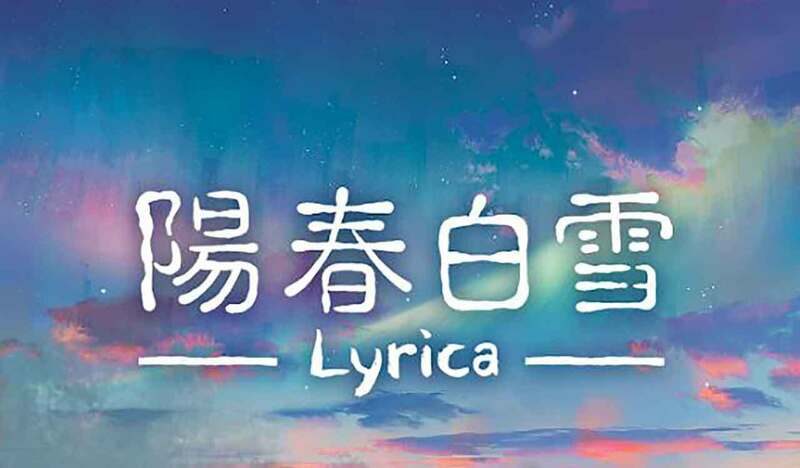 Lyrica tells the story of a modern day young man who has the dream of becoming a musician, but he has ties to ancient China and slips through time where he meets a mysterious poet. Each piece of music has different elements. Some pieces focus on Chinese poetry, whilst others are based on the indigenous people of Taiwan or Japanese pieces. Lyrica is a game that allows players to enjoy different styles of music that include modern music, such as rock, pop and ballads. This showcases a huge variety of music that is extremely beautiful and slow, along with music that can be extremely upbeat and have you bopping along. The main thing I loved about playing Lyrica is how beautiful the music is. Even though I couldn’t understand the words to the songs, it did not matter. When I was playing an upbeat song, I felt happy, and it was very fun. When I was playing a slower or sad song, I felt an emotional connection to the music. The game has completely opened my eyes to the music that can be found in different cultures and has made me proactively listen to music pieces from around the world, especially Oriental music. Another thing that I love about the game is the amount of choices for songs there are. Every song sounds different in its own way and tells its own story. 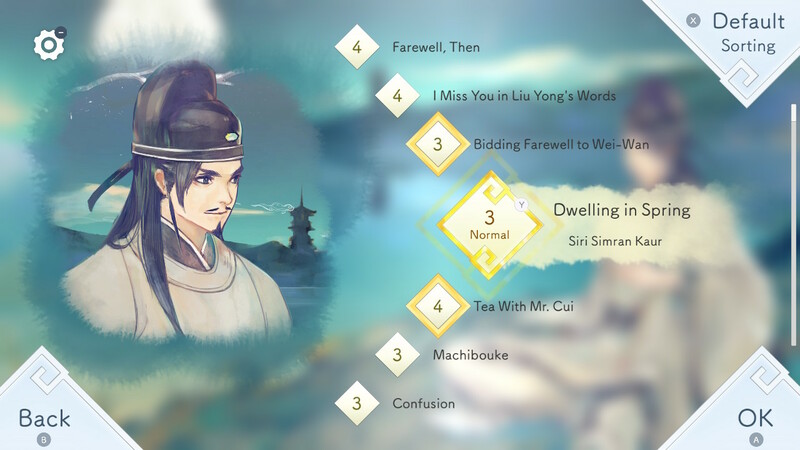 As previously mentioned, Lyrica offers players the opportunity to unlock different images whilst playing through the story, and these images are absolutely stunning.They vary between being quite modern to being so detailed that they look as if they belong in ancient China. Each image also looks freshly painted, which is a great effect. I also enjoyed the fact that there are quite a few different ways to hit the notes. You have your basic tap to hit the note on the screen, but then you have ones that you need to flick in the right direction, hold, move your finger along with, tap more than one at the same time, etc. I think this keeps the game interesting because you don’t know what type of note is coming next until it appears on the screen. The main issue that I found with Lyrica is the story. I appreciate that the focus of the game isn’t mostly on the story. It is more about the music. There is a hint of a story that involves a lot of different characters, but it just feels very messy and extremely boring. I really struggled to get into the story and found myself skipping it most of the time just to get to the next song. I seemed to just be pushing through it to unlock as many songs as I could. The fact that you have to read the story and that there are no voice-overs made me quite disinterested as well. I know that may sound silly, but the story seemed to just drone on with unrelated and unnecessary conversations. 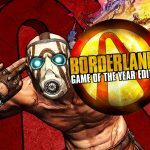 Another issue I found with the game is that it is extremely easy. The activities weren’t very challenging, and with a very small amount of practice, every song is quite simple to complete, even on the so called “Hard” difficulties. Lyrica also has the inability to be played through a TV. The game can only be played in the Switch’s Handheld Mode since screen tapping is a required function. I think it would have given the game a bit of an edge if the controls were assigned to the different notes so that it could be played through the TV and you just hit the assigned button on the controller when the arrow passes over the note. The whole point of a Nintendo Switch is that you can play it as both a handheld and TV console, but Lyrica does not accommodate for this. Lyrica is an extremely fun game to play. It is very beautiful in terms of the artwork involved and especially the music and different songs that are available. I enjoyed the variety of music with the different styles that it has to offer, and I feel that I have taken away a newfound love of Oriental music. The game definitely has some issues, like the inability to move from handheld to a TV. The game is also extremely easy, even in Challenge Mode, and the story isn’t very gripping. With that being said, Lyrica offers something very different because of its unique mixture of modern day elements with ancient China and other cultures. I felt a huge emotional connection to some of the songs available, even though I didn’t understand the lyrics. 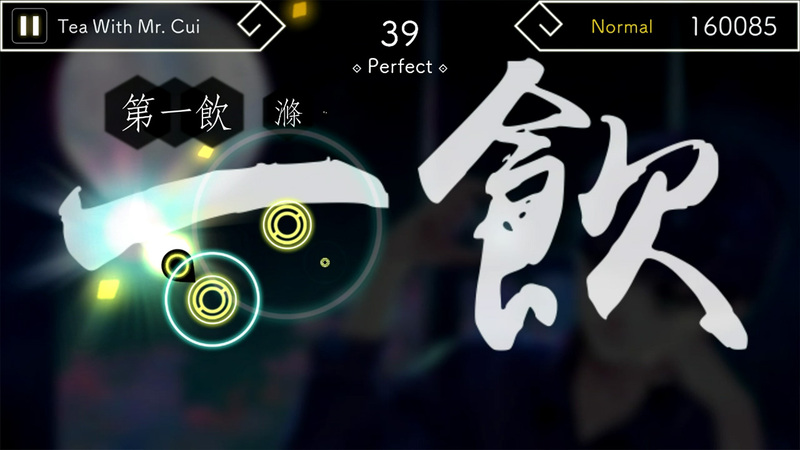 Lyrica is a music game that brings together ancient Chinese poetry with modern day music. 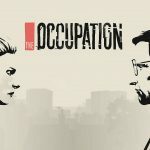 It is available to play on Nintendo Switch, iOS and Android. The game offers players a variety of songs that can be extremely fun and can strike an emotional connection. The game is not without its issues, especially when it comes to the actual story behind the songs presented, but it is very beautiful.